Leading scholars report on current research that demonstrates the central role of cultural evolution in explaining human behavior. Over the past few decades, a growing body of research has emerged from a variety of disciplines to highlight the importance of cultural evolution in understanding human behavior. Wider application of these insights, however, has been hampered by traditional disciplinary boundaries. 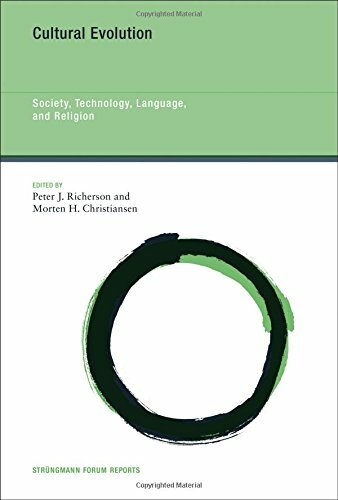 To remedy this, in this volume leading researchers from theoretical biology, developmental and cognitive psychology, linguistics, anthropology, sociology, religious studies, history, and economics come together to explore the central role of cultural evolution in different aspects of human endeavor. The contributors take as their guiding principle the idea that cultural evolution can provide an important integrating function across the various disciplines of the human sciences, as organic evolution does for biology. The benefits of adopting a cultural evolutionary perspective are demonstrated by contributions on social systems, technology, language, and religion. Topics covered include enforcement of norms in human groups, the neuroscience of technology, language diversity, and prosociality and religion. The contributors evaluate current research on cultural evolution and consider its broader theoretical and practical implications, synthesizing past and ongoing work and sketching a roadmap for future cross-disciplinary efforts.